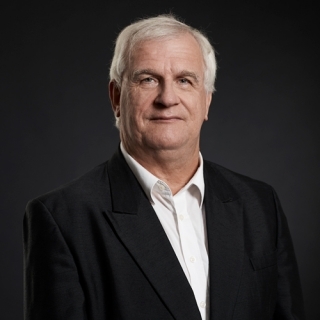 Principal Oboe of the MSO since 1977, Jeffrey Crellin also holds the position of Artistic Director (Music) of the Monash University Academy of Performing Arts. Born in Brisbane, he first attended the Queensland Conservatorium of Music, studying oboe with Frank Lockwood and piano with Max Olding, before transferring to Jiři Tancibudek at The University of Adelaide, completing an Honours Degree in 1974. He was the 1973 Commonwealth Winner of the ABC Concerto and Vocal competition (now ABC Young Performers), and in 1974 received a two-year Churchill Fellowship which took him to Freiburg in West Germany to study with the renowned oboe virtuoso, Heinz Holliger. While in Germany he won first place in the Freiburg Musikhochschule Oboe Competition, returning to Australia in 1977 to take up his current position with the MSO. He has made over 100 concerto appearances with orchestras in Germany, France, Japan, New Zealand and Australia, including performances with the Melbourne, Sydney, Queensland, Tasmanian and Adelaide symphony orchestras, the Australia Pro Arte Chamber Orchestra, Adelaide Chamber Orchestra and the Australian Chamber Orchestra. A keen chamber musician, he founded the Australian Chamber Soloists in 1984, touring regularly for Musica Viva, and in 1989 undertook an Australian tour as guest artist with the Reger String Trio from West Germany. He has performed regularly in Japan in both solo and chamber music capacities in Tokyo, Osaka, Ogaki, Kyoto and Kanazawa. He was invited by Tōru Takemitsu to appear at the 1989 Takemitsu Ginza festival in Tokyo, and in early 1993 spent two months as guest soloist and Principal Oboe with the Orchestra Ensemble Kanazawa. His discography includes Distance and Entre-temps by Takemitsu with the Arditti String Quartet; Riccardo Formosa’s Dedica, written especially for him, with Patrick Thomas and the MSO for Vox Australis; Takemitsu’s Vers, l’arc-en-ciel, Palma with guitarist Norio Sato, conductor Hiroyuki Iwaki and the MSO for ABC Classics; Images” with flautist Prudence Davis and guitarist Peter Lynch, and “Pictures at an Exhibition” as soloist and conductor with the Australia Pro Arte Chamber Orchestra for Move records. As conductor, he has appeared with the MSO, Adelaide Chamber Orchestra, Queensland Philharmonic Orchestra, Christchurch Symphony Orchestra, Geminiani Chamber Orchestra, Royal Philharmonic Choir, and the Australia Pro Arte Chamber Orchestra which he founded in 1990, holding the position of Artistic Director for 17 years from 1990 until October 2006.